Serving the communities of: Mahwah, Ramsey, Allendale, Saddle River and Upper Saddle River. 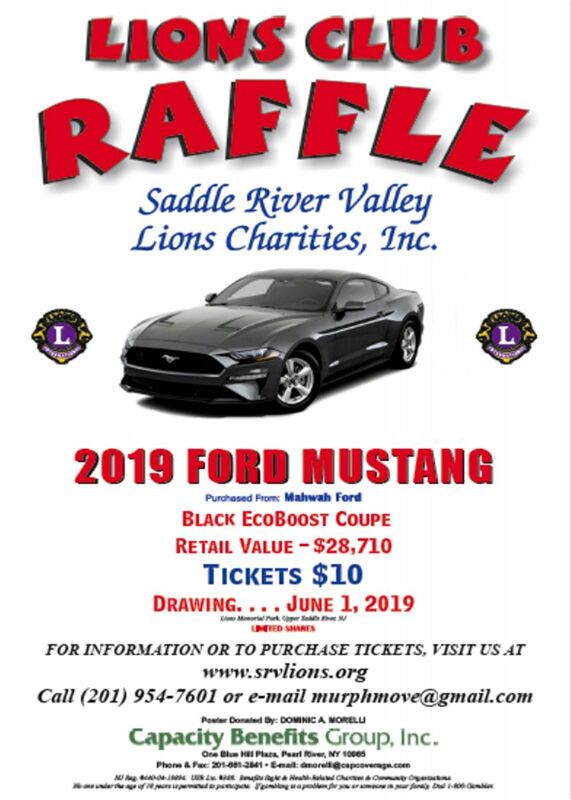 Saddle River Lions Announce 2019 Car Raffle! Click on this Order Form to open a printable version. 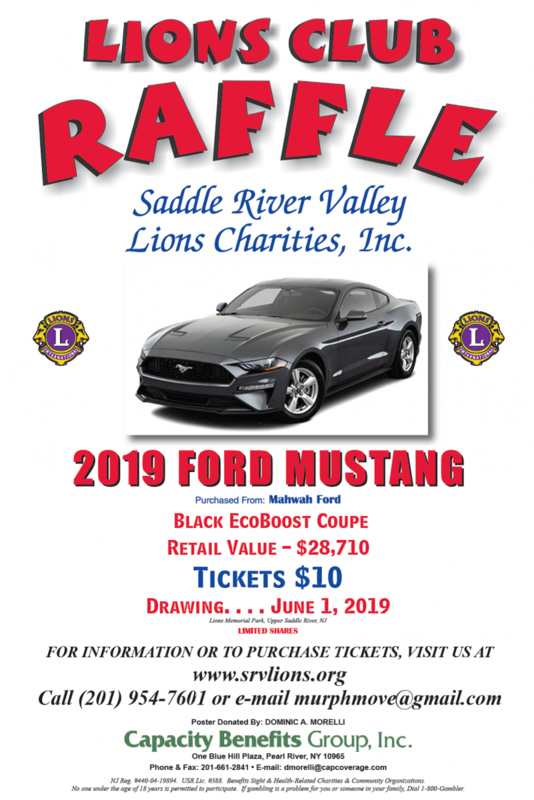 Don't miss your chance to be this year's winner in the Saddle River Valley Lions Club Annual Car Raffle! Shown here is the Grand Prize, a sleek, black 2019 Ford Mustang Coupe with a retail value of $28,710. Please click here to see SRV Lions announcement! 2019 Annual Egg Hunt !! 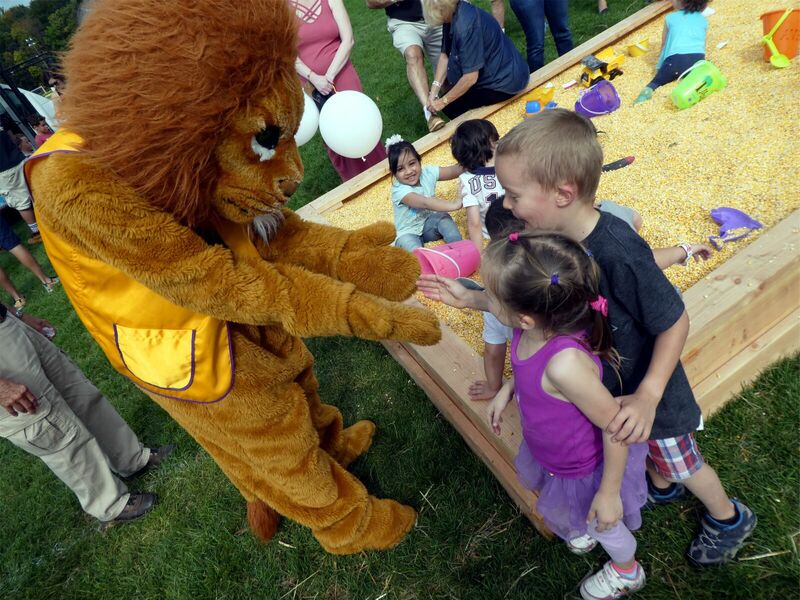 Saddle River Valley Lions Club held its annual Easter Egg Hunt on April 13th. Please click on the screen below to view the video of the event. 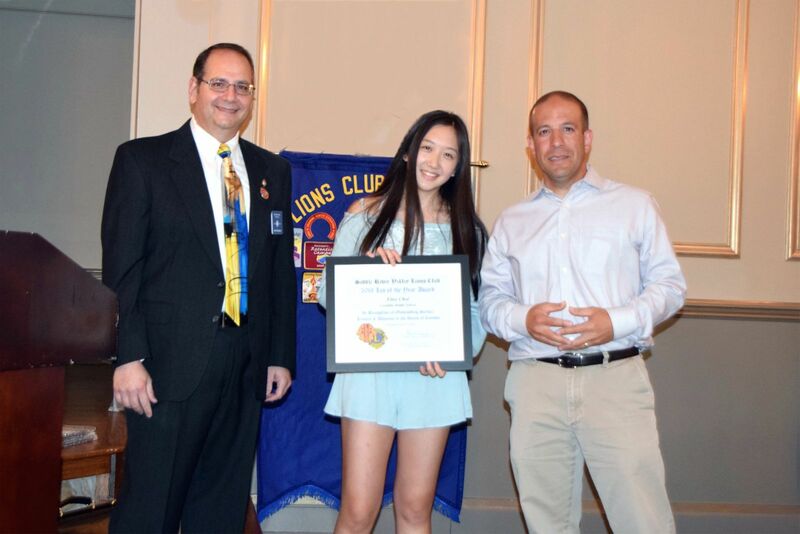 The community service activities of students at three area schools were showcased recently at the Saddle River Valley Lions Club's sixth annual 'Leo Night.' 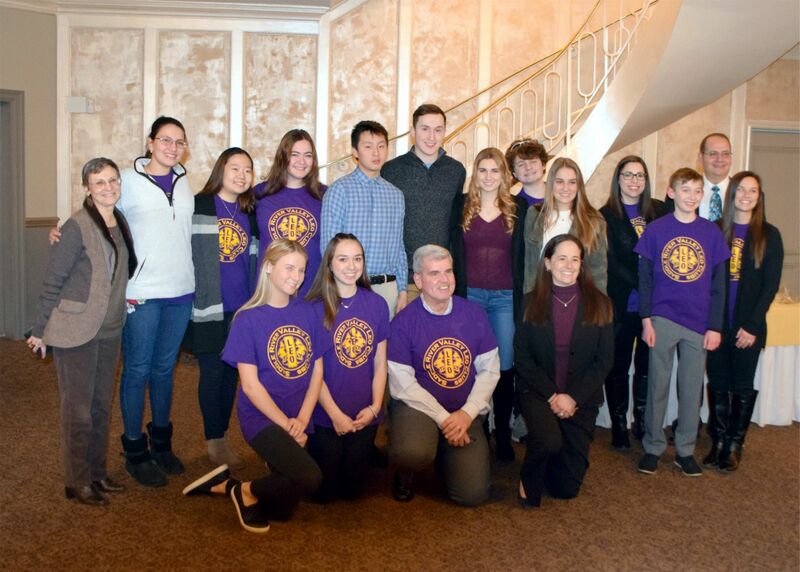 Presenting information about their service projects were student leaders of Leo Clubs from the Northern Highlands Regional High School in Allendale, the Cavallini Middle School in Upper Saddle River, and Mahwah High School. Leo Clubs are school and community-based service organizarions modeled after and chartered by Lions International since 1967. Now constituting an international network of over 7,000 clubs in over 145 countries, the 'Leo' name is an acronym for its motto: Leadership, Experience and Opportunity. The Leo Night program, originally created to give Lions a chance to meet and interact with the Leo Club members and their faculty advisors, has become an annual Lions Club tradition. Many wearing tee-shirts bearing the official Leo lub logo, student representatives from each school addressed the Lions mambership using PowerPoint presentations. In addition to giving information about their current and completed projects, students also shared their plans for the coming months. Examples of projects understaken by the Leo Clubsincluded eyeglass collection drives in support of the Lions' own efforts as well as fundraising efforts on behalf of various causes relating to health and vision. 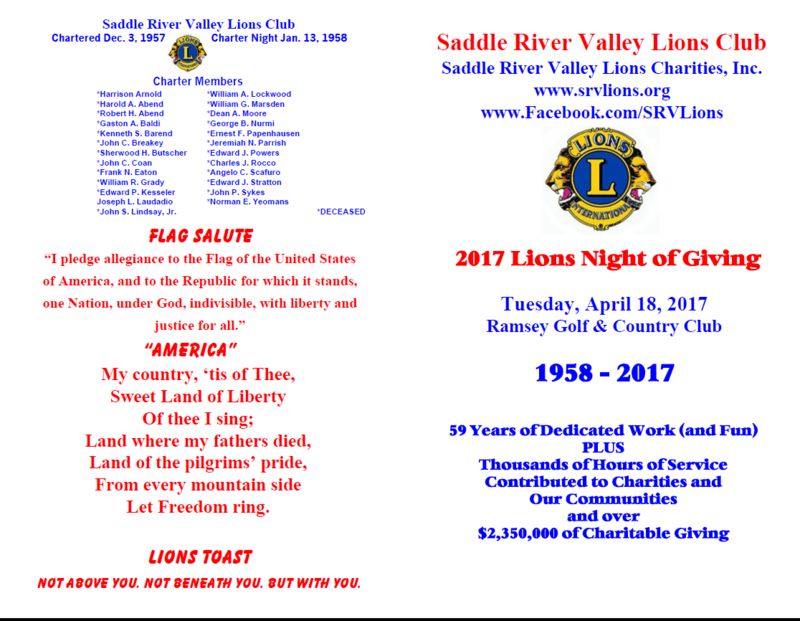 Saddle River Valley Lions Invite Community Members! The Saddle River Valley Lions Club is seeking civic-minded men and women to join them in making a difference in our local communities. Lions Clubs International is the world's largest service club organization with more than 1.4 million members in approximately 46,000 clubs across more than 210 countires and geographical areas around the world. Founded in 1917, the organization is best known for fighting blindness and was dubbed by Helen Keller in 1920's as her "knights of the blind." 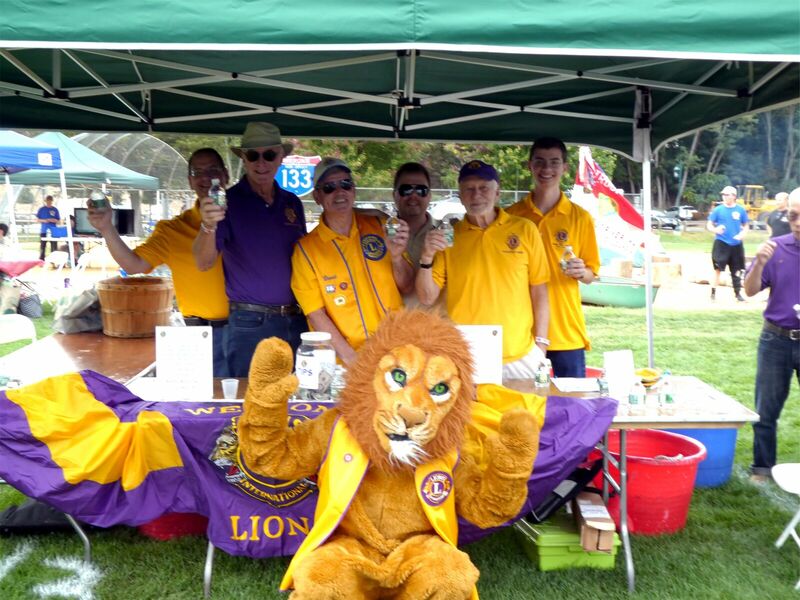 Locally, the Saddle River Valley Lions Club was chartered in 1958 and has since been an integral part of the communities of which it is a part. 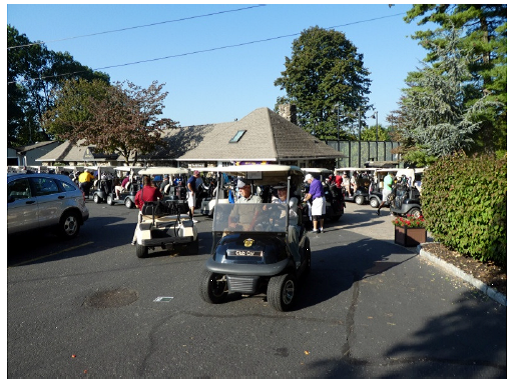 Members of the club are drawn from Allendale, Mahwah, Ramsey, Saddle River, Upper Saddle River, and some areas beyond. Membership is by invitation and open to men and women of legal majority and good reputation within the community. "We want to share the great things we're doing in the community, and to let others know how they can help," said Lion Dennis Schubert, the club's membership chairman. "The Lions' Motto," Schubert explained, "is We Serve." And for the past sixty years the Saddle River Valley Lions Club has certainly lived up to that motto. Classified as a 501C(3) non-profit entity, the Saddle River Valley Lions Club has raised and distributed almost $2.5 million dollars since its inception. 100% of its net proceeds go directly to the charities that the Club supports with none of the funds raised being used to meet administrative expenses. 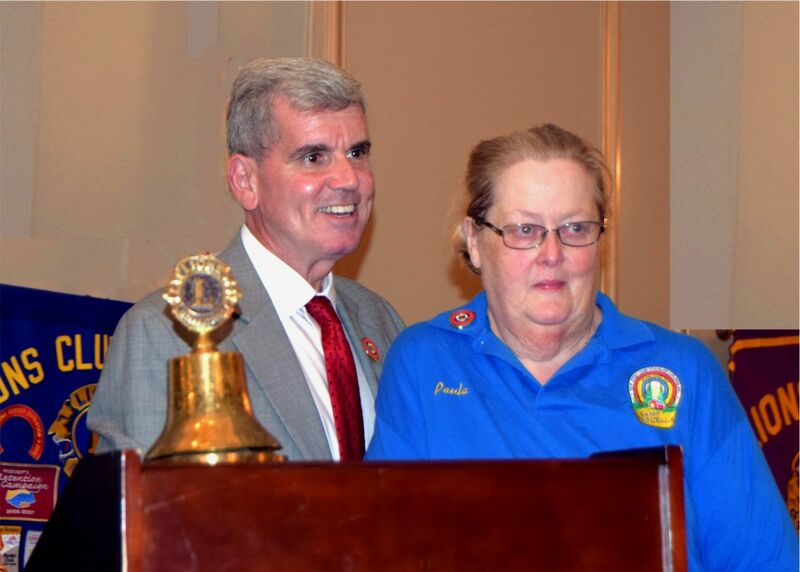 According to club president, Lion David Verducci, "the Lions' volunteer service goes well beyond assisting those who help the blind. Today's Lions Club is also very involved in supporting Juvenile Diabetes research efforts, caring for the environment, feeding the hungry, and aiding seniros and the disabled." Verducci explained that "a high priority of the club is supporting local youth through various educational and scholarship activities, particularly its Leo Club program." 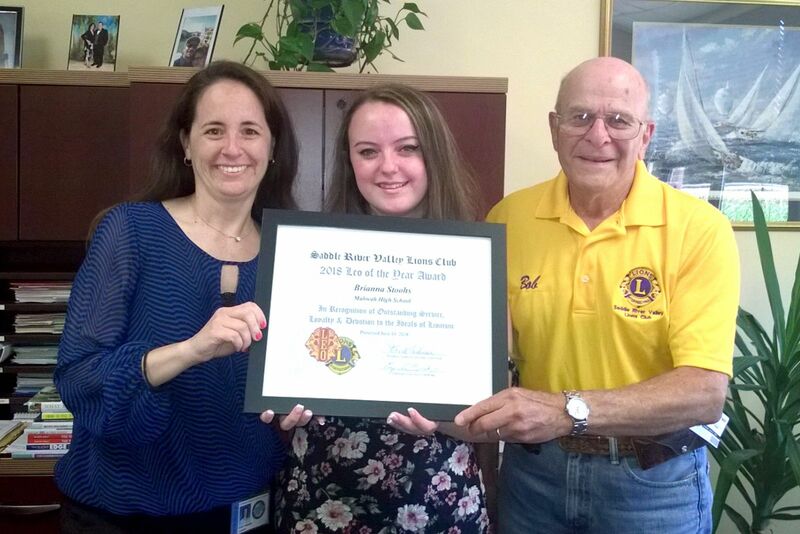 Leo clubs are Lions-sponsored, student-run community service organization. With more than 7600 Leo groups worldwide, the local Lions sponsor four of Leo Clubs now oerating in area middle and high schools. Do you have what it takes to be a Lions? Find out by emailing the club at SRVLions@gmail.com for details about Lions membership opportunities. 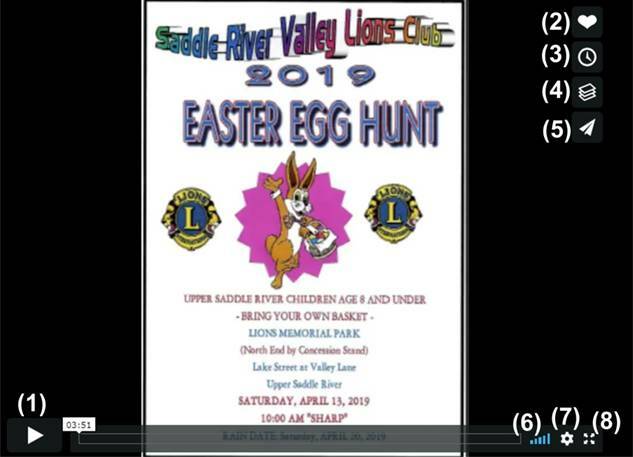 For those who desire more information about the Saddle River Valley Lions' many community activities and service projects or to see a video-slideshow describing its six decade histroy, visit Club's Facebook at your leisure. The Saddle River Valley Lions recently wrote another chapter of its long history as it celebrated the start of its sixty-first year with the installation of the club's 2018-2019 officers. 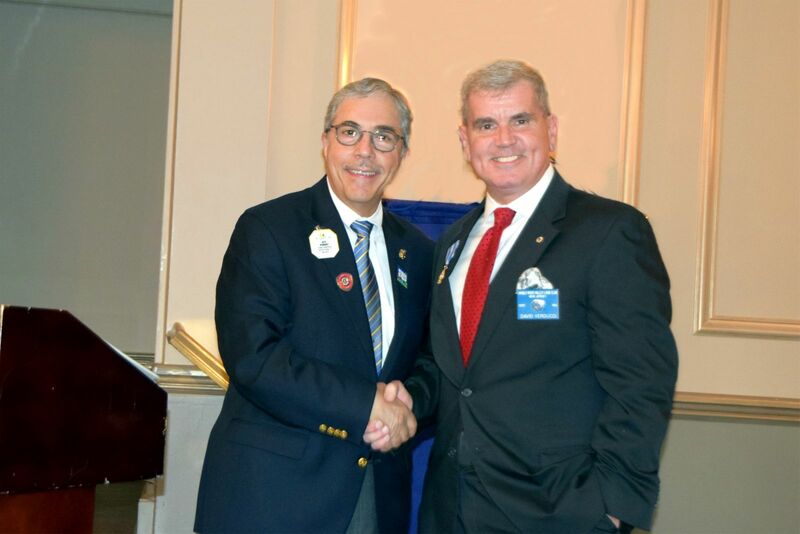 - NJ Lions Council Chairman John Romano (L) congratulates Dr. David C. Verducci (R) on being installed for his second term as the president of the S.R.V. Lions Club. - S.R.V. 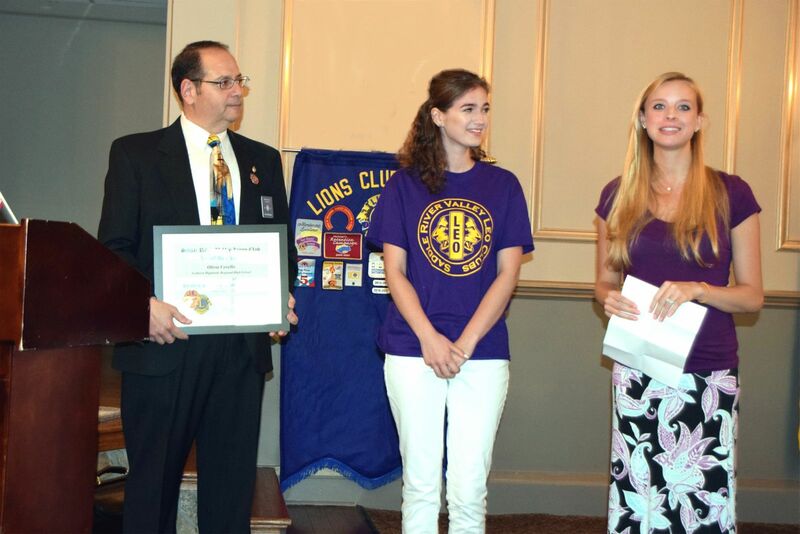 Lion cpmmittee chairman Lion Gene Baskayan (L) looks on as NOrthern HIghlands Leo Club facalty advisor Kim Kender (R) speaks about the school's Leo of the Year awardee, senior Olivia Coviello. - Shown here (L to R) are S.R.V. Lion committee chairman Lion Gene Baskayan looks on as Cavallini Leo Club faculty advisor MIke Alberta speaks about the school's Leo of the Year awardee, eith grader Elyse Choi. Chartered byLions International on December 3, 1957, the club's primary focus is serving the people of the Saddle River Valley which includes the communities of Allendale, Mahwah, Ramsey, Saddle River, and Upper Saddle River. In addition to its many local service projects, to date the Club has raised and given away over two and a half million dollars. 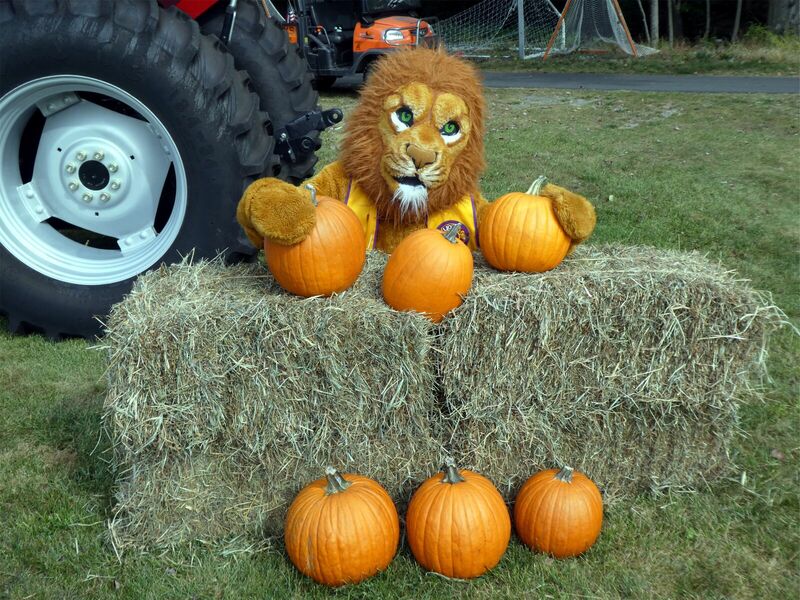 As Lions pay their own administrative expenses, this represents 100% of the net proceeds of their fundraising efforts. These funds help to support a wide variety of local social service organizations and youth groups as well as scholarships given annually to local students. Please click here to read entire article. Upper Saddle River resident Christopher Reichert has been named the winner of the presitigious Melvin Jones Fellowship Award for 2018 by the Saddle River Valley Lions Club. 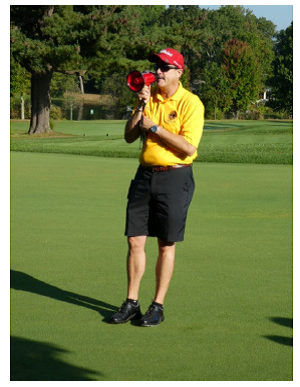 Established in 1973 by Lions International, the Melvin Jones Fellowship was created in honor of the organization's founder and is the highest honor the club can bestow upon one of its members. The same evening Lions James Murphy, III, and Robert May were also recognized for their distinguished service. The two each received The 'President's Award,' citations which are given to individuals who, according to Verducci, "exemplify the meaning of the Lions' motto, 'I Serve'." - Lion Christopher Reichert (L) receiving his Melvin JOnes Fellowship plague from S.R.V. Lions president (R) Dr. David C. Verducci. - Shown here is S.R.V. Lions president (L) Dr. David C. Verducci presenting the 'President's Award' to Join James Murphy, III (R). - Shown here is S.R.V. Lions president presenting the 'President's Award' to Lion Robert May (R). Continuing its yearlong celebration of the Diamond Anniversary of its founding, the Saddle River Valley Lions Club recently distributed its 2018 charitable grants to more than seventy community organizations dedicated to helping those in need. More than $88,500 was given away, bringing the lifetime grand total amount of charitable donations made by the local Lions to just under two and half million dollars. The occasion for the financial giveaway was the Saddle River Valley Lions' recent 'Annual Night of Giving.' Themed a 'Celebration of Sixty Years of Giving and Serving,' checks presented to representatives of local charitable and civic organizations at the event were the culmination of the club's fundraising efforts for the prior twelve months. Shown above are Lions' Club members and representatives from the various organizations receiving grants and donations from the Saddle River Valley Lions Club. Shown below (left to right) are Saddle River Valley Lions Club member Jim Murphy, Community Partner Award recipient Ken Montick, and club president David Verducci. The main event of the evening was the distribution of grant and donation checks by the chairpersons of five of the club's standing committees. Accepting these grants were representatives from each of the recipient organizations which include the Center for Food Action, Rebuilding Together of Bergen County, St. Joseph's School for the Blind, and the Lions 16N Foundation to name just a few. Among the other highlights of the evening was the announcement of the Lions' 2018 Community Partner Award. The award was presented to Ken Montick of the Ridgewood Vehicle Company for their work in rehabilitating the Lions' eyeglass collection boxes. 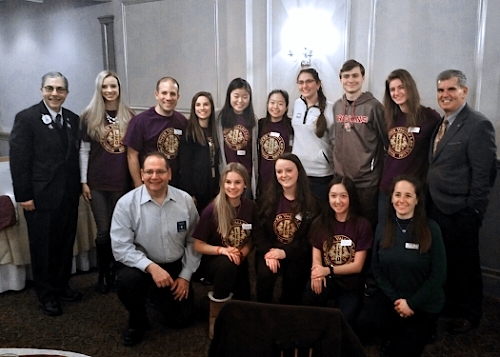 (Jan. 22, 2018) The community service activities of students at three area schools were showcased recently at the Saddle River Valley Lions Club's fifth annual 'Leo Night.' Presenting information about service projects were student leaders of Leo Clubs from the Northern Highlands regional High School in Allendale, the Cavallini Middle School in Upper Saddle River, and Mahwah High School. 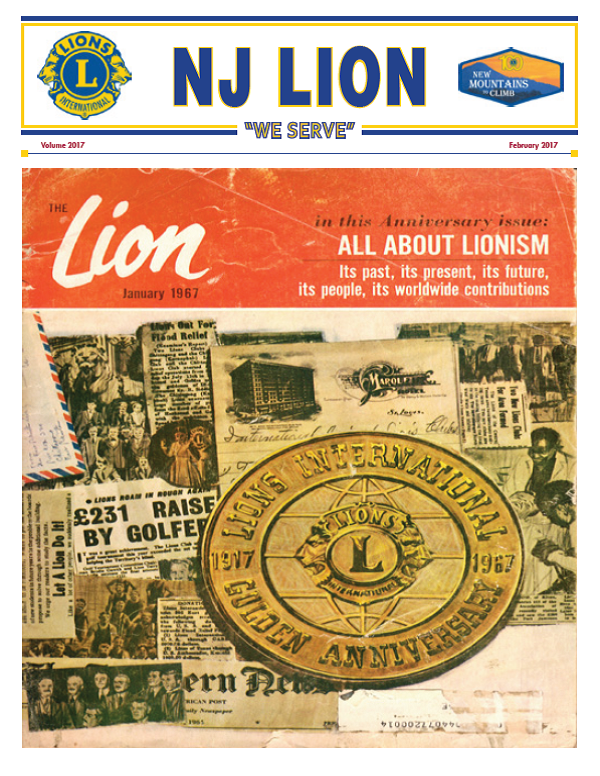 Leo Clubs are school-based service organizations modeled after and chartered by Lions International since 1967. Now constituting an international network of over 6,500 clubs in over 140 countries, the 'Leo' name is an acronym for its motto: Leadership, Equality and Opportunity. The Leo Night program, originally created to give Lions a chance to meet and interact with the Leo Club members and their faculty advisors, has already become an annual Lions Club tradition. Wearing tee-shirts bearing the official Leo Club logo, student representatives from each school addressed the Lions members and gave PowerPoint presentations. In addition to giving information about their current and complete projections, students also shared their plans for the coming months. Examples of the Lions' own efforts as well as fundraising efforts on behalf of various causes relating to health and vision. Acquiring his formal education at Rutgers University and Ramapo College, Smyrychynski developed his interest in local history as a child listening to stories told by his relatives. "I learned so much about Upper Saddle River," Smyrychynski explained, "from observing how much a part of the community my parents and grandparents were. I share their sense of service to others so becoming a Lion was just a natural step for me." Please click here to view entire article. Please click the site below to see all photos. 13th Annual S.R.V. Lions Herb Bodensiek Classic "Close to a Record!" Please click here to view whole article. For blind and visually impaired teenagers, it is literally a life-changing experience.” Those were the words Paula Tarantino-Maione used in an recent address to the Saddle River Valley Lions Club to describe Camp Marcella, a residential summer campground designed specifically for children and teens with blindness, visual-impairments, and special needs. Located in Rockaway, NJ, Camp Marcella is owned and operated by the NJ Camp for Blind Children, Incorporated, a non-profit organization started in 1947. Since the camp’s inception, Lions Clubs across New Jersey have helped to financially support and maintain the Camp’s operations and facilities. The camp itself comprises over 200 acres of woodland surroundings, including a clean, fish-laden lake, and a modern in-ground swimming pool with all of its facilities designed for the best possible care of visually impaired children. Over the past 60 years Camp Marcella's facilities have grown from a handful of buildings to a thoroughly modern, state-of-the-art, 23 building facility specially adapted for persons with special needs. 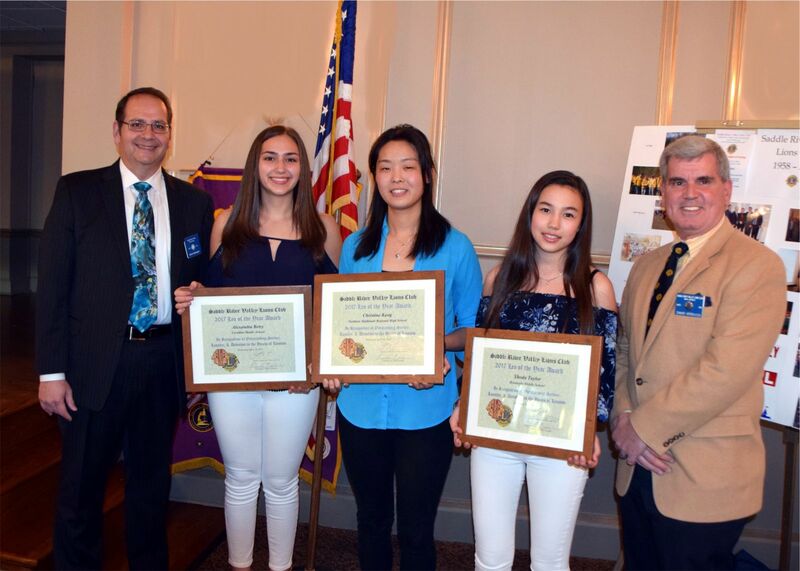 (May 20, 2017) The three newest members of the Saddle River Valley Lions Club recently pledged themselves to "serve to the blind and visually impaired" as part of the club's traditional candlelight induction ceremony. Past Lions District Governor George Lesnik administered the club's membership oath to local residents Frank DiPierro and brothers Eric and Lucas Baskayan. 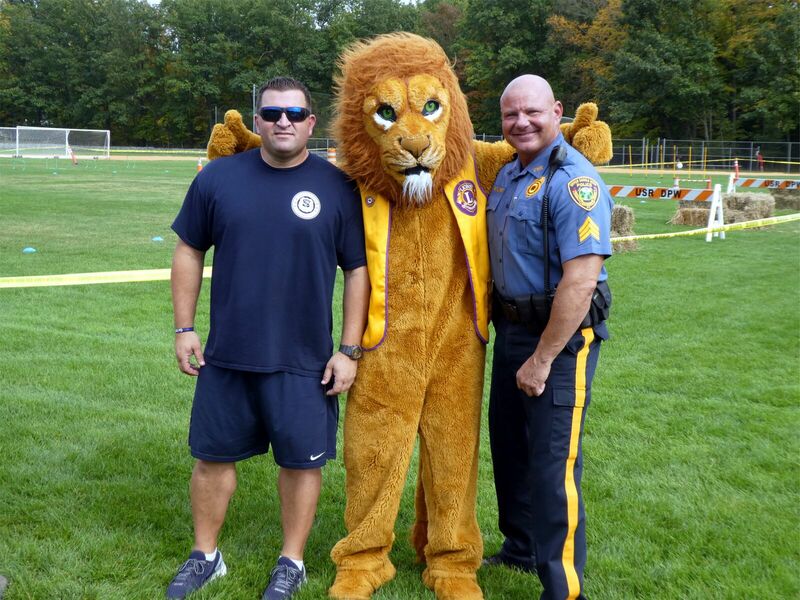 When asked about why he wanted to become a Lion, DiPierro quickly responded that "improving one's community starts with becoming active and helping those in need." DiPierro's sentiments were quickly seconded by other inductees, the twin Baskayan brothers. Speaking for them both, Eric said that "we each wanted to become Lions because of our desire to take on a greater role in the community." His brother, Lucas, agreed adding that "we want to help others who are less fortunate than us to achieve a better life." The Saddle River Valley Lions Cub this week distributed its 2017 charitable grants to more than seventy community organizations dedicated to helping those in need. More than $90,900 was given away, bringing the lifetime grand total amount of charitable donations made by the local Lions to just under two and half million dollars. The occasion for the financial giveaway was S.R.V. Lions' recent 'Annual Night of Giving.' Themed a 'Celebration of Fifty Nine Years of Giving and Serving,' the checks presented to representatives of local charitable and civic organizations at the event were the culmination of the club's fundraising efforts for the prior twelve months. Welcoming the more than seventy members and quests present for the occasion, S.R.V. Lions President Vic Heinemann said, "these organizations are groups of individuals who are providing the direct services needed by people in our local communities. They are helping to make it possible for individuals who suffer illness or physical impairment to achieve a quality of life that might be otherwise unattainable." He went on to "thank all three major fundraisers," activities which include the Lions' annual car raffle, its Spring carnival, and Herb Bodensiek Golf Classic which is held each September. 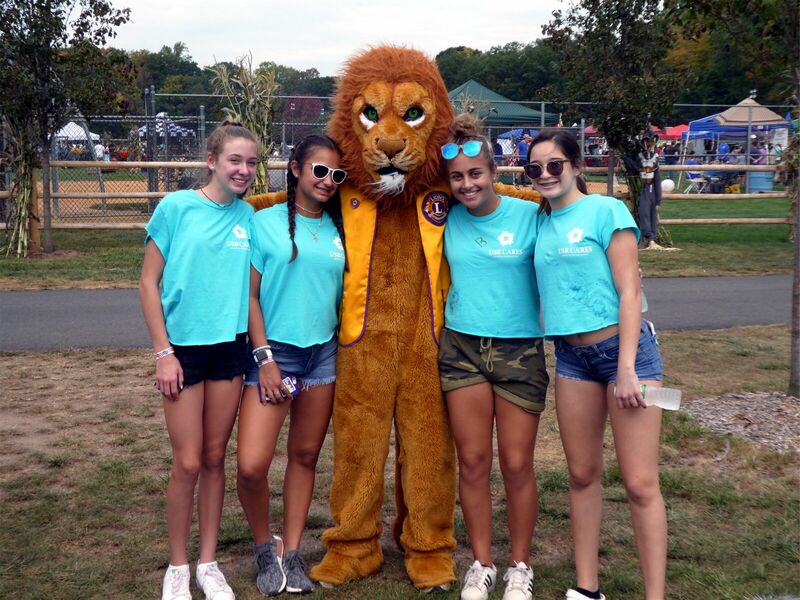 The Saddle River Valley is home to four Leo Clubs, the school-based student service organizations which are chartered by Lions International. In presenting the awards, Gene Baskayan, chairman of the Lions' Leo Committee, noted that "these three young people epitomize the meaning of services to others as they help to inculcate the values of Lionism in their fellow students." David Verducci, the Lions incoming president and himself a past chairman of the Leo Committee enthusiastically agreed, adding that "through the many service projects undertaken by their clubs, these Leos not only help to improve their communities but they also serve as role models for their peers." Below is the first page of the NJ Lion News Letter for February, 2017(37 pages). Those who wish to read the entire news letter, please click here.